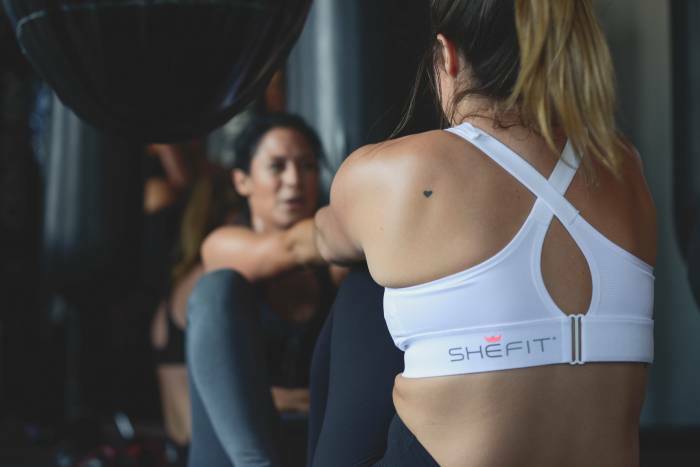 By that, Shefit means an engineering effort to zip, cinch, and lift breasts so they don’t hurt, especially during high-impact activities like running or CrossFit. On-the-fly customization is the key to the Shefit design: You can alter the bust, band, and shoulder straps. Shefit is certainly filling a gap in the market. To avoid general discomfort and chafing from movement, endowed women often resort to wearing two bras to tackle their favorite workouts. 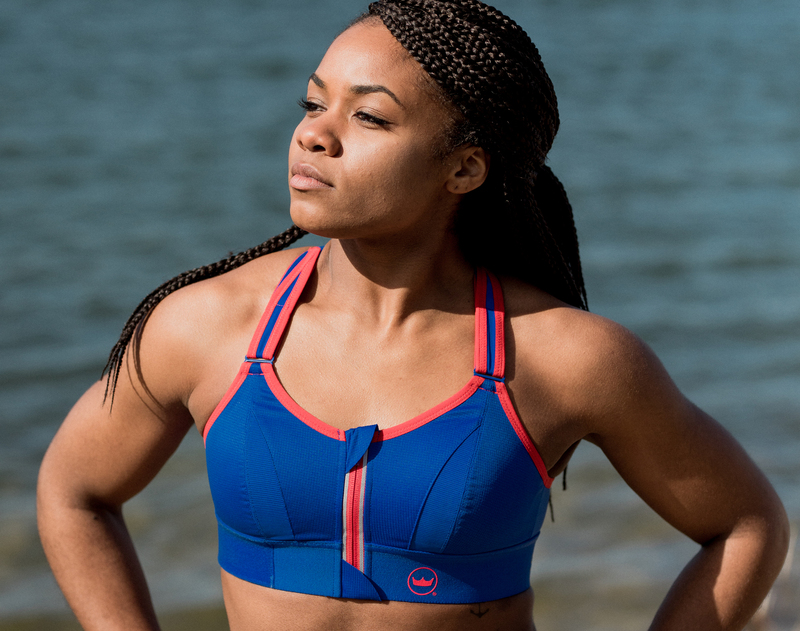 And even female athletes without large chests struggle to find the right bra for sports. Ask any woman: The process can be arduous. Shefit’s founder Sara Marie, a former collegiate athlete and pro fitness competitor, tried most bras on the market. None gave her what she needed. So for years, she modified with clips and bands — before looking for a better solution. While many have tried, no brand has yet to nail down a bra that works to support the ways breasts move — forward, back, and side to side. They are dynamic body parts, changing with weight gain or loss, shifting during varied activities. So rather than trying for a holy grail one-bra-fits-all, Shefit decided to put the power in the hands of buyers. This sports bra lets women of all sizes adjust the fit in a variety of ways, from front to back. Shefit was going for the right balance of compression, constriction, and comfort. Curious if this could really be an evolution of the sports bra, I tried one on for a workout. While I don’t consider myself the ideal customer, here’s my take. The customization features are helpful but seemingly basic in nature. They amount to a combination of front-adjusting straps (that can convert from X-back to H-back configuration) and adjustable chest band. Both rely on Velcro to do the heavy lifting. A zippered front allows for easy access, and two internal eyehooks add cinched security. She added that the zipper, hook, and loop are the most costly components of the Shefit bra because they’re made from high-quality materials, including zinc metal. There’s certainly a lot of thought behind the placement of peripherals that at first glance look cumbersome. For example, the back buckle is intentionally placed to the side instead of directly on the spine to prevent irritation and maximize comfort, according to McCarl. I can’t call the Shefit fabric super smooth. But I’ve found that sometimes getting lured by lux bra materials doesn’t always check boxes in the support category. Shefit describes the bra’s lining as reinforced “power-mesh.” That’s tech-speak for a fabric meant to wick sweat away from the body and increase airflow to the skin. I found that to be true. Plus, the color choices are fun, like the one that can help you channel Wonder Woman. And the brand suggests the bra can double as a swimsuit top. But Shefit’s benefits weigh heavily on the support side. Women with surgically altered breasts might be especially interested in this bra’s ability to adapt. For those who have had mastectomies, for example, the Shefit works around expanders and prosthesis for swelling and compression. That’s an especially admirable application. Shefit has designed a bra that’s supposed to fit every shape and size, even as that form changes on a woman’s body. It’s a big promise. We’ll leave it up to you to see if Shefit delivers. The Shefit Ultimate Sports Bra retails for $64.